Two parents and a child: the statue Family in the garden of the Palace of Nations (United Nations Office at Geneva) is a commemoration of the International Year of the Child. WBZ-TV, virtual channel 4, is a CBS-owned-and-operated television station located in Boston, Massachusetts, United States. The station is owned by the CBS Television Stations subsidiary of CBS Corporation, and is part of a duopoly with MyNetworkTV affiliate WSBK-TV. The two stations share studios and office facilities located on Soldiers Field Road in the Allston-Brighton section of Boston; WBZ-TV's transmitter is located in Needham, Massachusetts on a tower site that was formerly owned by CBS and is now owned by American Tower Corporation. Elizabeth Bodine (1898–1986) was an American humanitarian who was given the Theodore Roosevelt Rough Rider Award in July 1979 in recognition of the International Year of the Child. She was honored as Mother of the Year for both the state of North Dakota, and the entire country, in 1968. The United Nations Convention on the Rights of the Child is a human rights treaty which sets out the civil, political, economic, social, health and cultural rights of children. The Convention defines a child as any human being under the age of eighteen, unless the age of majority is attained earlier under national legislation. The United Nations General Assembly proclaimed the first decade of the 21st century and the third millennium, the years 2001 to 2010, as the International Decade for a Culture of Peace and Non-Violence for the Children of the World. This followed resolutions about the International Year for the Culture of Peace and the International Day of Peace. The Making of a Martyr is a 2006 film made by Canadian directors Brooke Goldstein and Alistair Leyland. The International Alliance of Women is an international non-governmental organization that works to promote women's human rights around the world, focusing particularly on empowerment of women and development issues and more broadly on gender equality. The basic principle of the IAW is that the full and equal enjoyment of human rights is due to all women and girls. It is one of the oldest, largest and most influential organizations in its field. The organization was founded as International Woman Suffrage Alliance (IWSA) in 1904 in Berlin, Germany, by Marie Stritt, Millicent Fawcett, Carrie Chapman Catt, Susan B. Anthony and other leading feminists from around the world to campaign for women's suffrage. The IWSA was headquartered in London, and it was the preeminent international women's suffrage organization. Its emphasis has since shifted to a broad human rights focus. 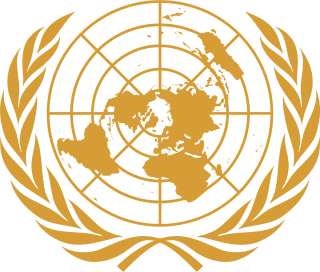 Today it represents over 50 organizations world-wide comprising several hundred thousand members, and has its seat in Geneva. The timeline of children's rights in the United Kingdom includes a variety of events that are both political and grassroots in nature. Children's Rights Alliance For England (CRAE) is a London-based pressure group. Since 2015 it has operated as part of the children's charity Just for Kids Law. International Day of the Girl Child is an international observance day declared by the United Nations; it is also called the Day of Girls and the International Day of the Girl. October 11, 2012, was the first Day of the Girl Child. The observation supports more opportunity for girls and increases awareness of gender inequality faced by girls worldwide based upon their gender. This inequality includes areas such as access to education, nutrition, legal rights, medical care, and protection from discrimination, violence against women and forced child marriage. The celebration of the day also "reflects the successful emergence of girls and young women as a distinct cohort in development policy, programming, campaigning and research." The Sustainable Development Goals (SDGs) are a collection of 17 global goals set by the United Nations General Assembly in 2015 for the year 2030. The SDGs are part of Resolution 70/1 of the United Nations General Assembly: "Transforming our World: the 2030 Agenda for Sustainable Development". That has been shortened to "2030 Agenda". Ambassador Moushira Mahmoud Khattab is an Egyptian politician and diplomat born in 1944. She is the former Minister of Family & Population of, Former Assistant Minister of Foreign Affairs, Ambassador of Egypt to the South Africa, the Czech Republic and Slovakia as well serving in Egypt’s diplomatic missions in Australia, Hungary, Austria and the United Nations in New York and Vienna. She is also a human rights activist advocating the rights of children and women and the former Chair of the UN Committee on the Rights of the Child based at the UN Headquarters in Geneva. On 19 July 2016, the Prime Minister of Egypt announced that Khattab will be Egypt's candidate for the post of UNESCO Director-General at the elections due to be held in 2017. The Declaration and Programme of Action on a Culture of Peace was adopted by the United Nations General Assembly on September 13, 1999. This occurred after ten months of negotiations in the context of preparations for the International Year for the Culture of Peace. ↑ "Prizes and Celebrations: International Year of the Child", UNESCO. Retrieved 6/29/08.